Visited! JBS Jazz Bar In Tokyo! | Brad's All Vinyl Finds! Ah, Japan. Being Japanese, I’m a bit prejudiced…but Japan has the best food in the world, in my opinion. What they also have are unique jazz bars. Places where you go to relax, drink and listen to jazz, often from vinyl records. 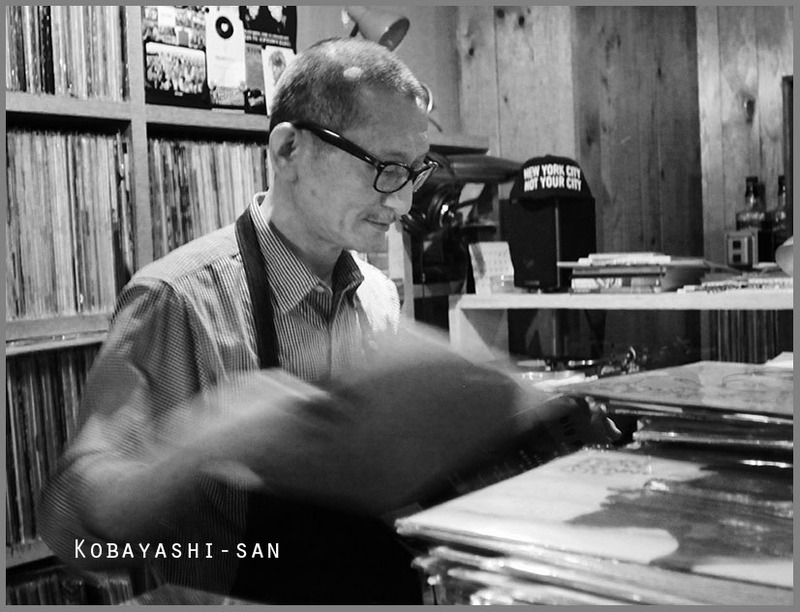 That’s what I did on a recent visit to Tokyo, specifically the Shibuya area, where I managed to find JBS (Jazz, Blues, Soul) Jazz Bar, operated by the singular Kobayashi-san (no first name will he reveal). Recently written up in Bon Appetit Magazine, JBS is dark, tiny, narrow and somewhat smoky. A freakin’ great place! My Japanese is pretty sketchy, but Kobayashi-san speaks English pretty well. The first thing he asked me was, “What kind of jazz do you like?” My answer? “Straight jazz, bebop. Dexter Gordon, Sonny Stitt.” K-san’s reply? “I like 70s jazz.” The Crusaders were already on one of his two turntables. I mentioned I like a Crusaders LP called Chain Reaction. He was aware of it but didn’t have it. Hard to believe, given the tens of thousands of LPs he had on hand, on shelves built into two walls. 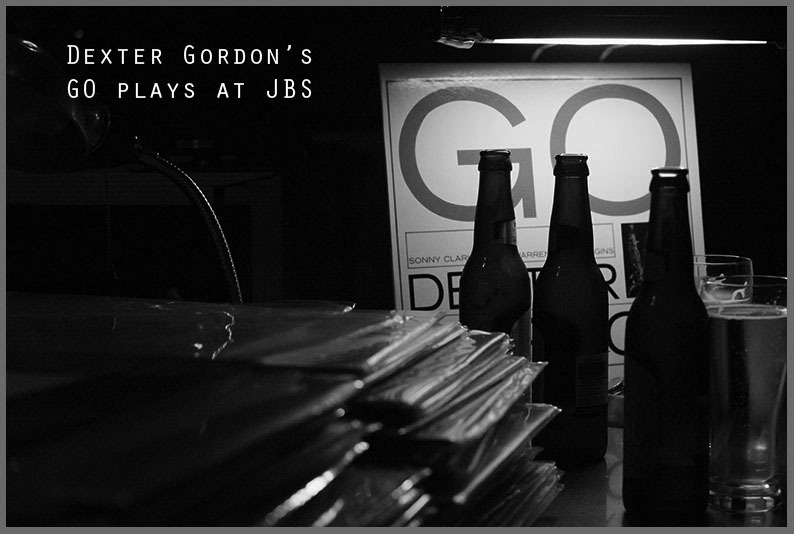 He pulled a few Dexter Gordon LP’s off his shelf, and I saw the one I wanted to hear, a Blue Note LP called GO. He put it on, and the guy sitting to my right at the bar said he’d never heard the LP, but found it to be quite nice. GO is fabulous music and you can read more about it on my post. The guy (whose name I cannot recall, unfortunately…was it Dustin?) was from North Carolina, works in Florida, opening restaurants for a living. He was here to meet a young woman and shortly after she came in. To my left were three locals. We really didn’t speak, but there was never a feeling that us foreigners were unwelcome. In fact, after an hour or so, most of the people in JBS were not locals, but transplants from other countries. A stunning blonde woman from Brazil came in, a black woman from who knows where? She was supposed to be a singer, or so I overheard. I continued to drink one of my two Ebisu beers, served ice cold from a small metal ice bucket. K-san also mixed several drinks and was rather busy, but he found time to converse with me. These newcomers requested hip hop music and surprisingly, K-san had it on hand. I can’t say it’s my favorite music, but the crowd seemed energized by it, so I kept drinking my drink…and shooting some photos. Getting to JBS was a bit of a chore, but it really wasn’t that hard to find. I took a taxi from Shibuya train station and gave the driver a map with Japanese text on it. I thought that would make it easy for him, but he studied it intently and finally got me in the neighborhood. I had to walk around the block searching and was routed back towards my original drop off by a young Japanese guy on the street. Turns out the driver was just a few buildings off. I could have easily walked to JBS from the station had I known. I was not used to looking up at all the signage in Tokyo. Many buildings have several floors of businesses and when I peered skyward, there was a small English language sign, JBS. I walked up a flight of stairs or so and found a somewhat opened wooden door and stepped inside to a new world. Would love to live in that world again sometime. Hard to imagine a place like JBS could survive, even in the San Francisco Bay Area. There just aren’t enough jazz lovers to support it. But for a few hours, I was listening to jazz over Altec Lansing large bookshelf speakers and ignoring everything else. 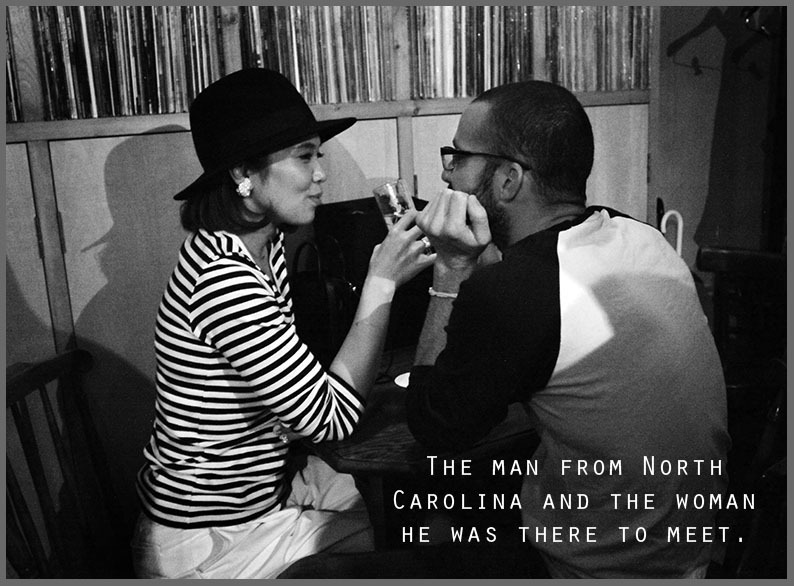 I found JBS on the Tokyo Jazz site. 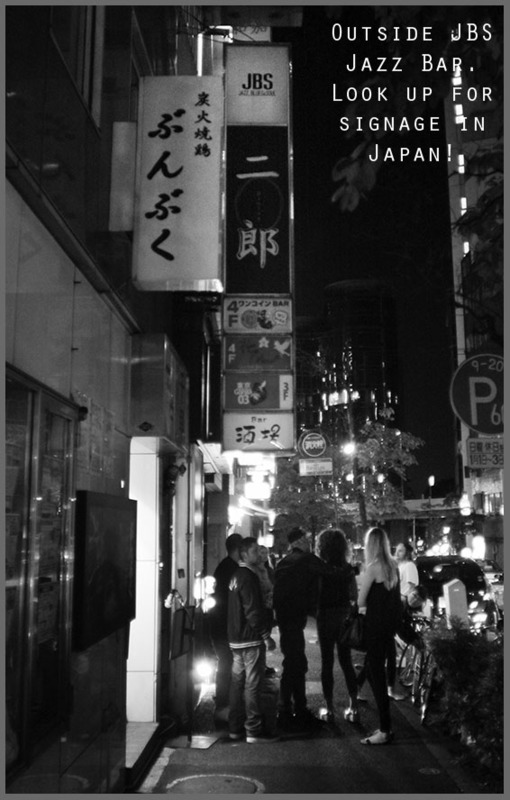 If you’re going to Japan, check it out… and get the bar location in Japanese text if you’re taking a taxi! Wanna see more photos? Here they are in 1080 HD quality! ← See It! The Wrecking Crew Movie! Plus: Don Randi Q & A! looks like a cool hang! !